This unassuming little church in the poor estates of south-east Ipswich has a very unusual history, and that it exists at all is testimony to the work of an extraordinary man, Father Joseph Sweeney. The remarkable Father Joseph Sweeney. Joseph Sweeney was born in Northern Ireland in 1906, and his vocation took him to East Anglia after the Second World War. He spent time working with the Irish community in Ely, Cambridgeshire, and then at the Catholic parish in Newmarket, before coming to Ipswich in 1948. He would spend the rest of his working life here. At that time, this poor part of town, the Gainsborough estate, was in the parish of St Pancras. This church had established several mass centres out in the far reaches of its large parish, and one of them was near the house where Father Sweeney lodged with his sister and her husband. The community here built a hall, and as the numbers attending mass grew with the estate around it, there was a demand for a new parish with the mass centre as its new church. This was not, at first, allowed to happen. Sweeney paid his collection into head office at St Pancras, receiving a small stipend in return. But dreams will not die, and the community planned their future church to be on a site adjacent to their social hall, where mass was, at that time, celebrated. Eventually, and inevitably, the mass centre received parochial status, and the new parish of St James was carved out of the parish of St Pancras. Unfortunately, there was insufficient money available to build a new church, so the hall was reordered as a church, and a new hall built to the side of it. 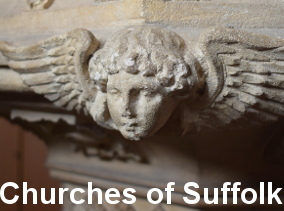 Suffolk has several former churches that have been converted into use as social halls, but this is one of the few churches that has undergone the opposite process! Unassuming, yet a testimony to a remarkable man. Father Sweeney retired back to his beloved Ireland in 1979. The church still has a rather unusual relationship to the rest of Catholic East Anglia a later priest, Tom Fenlon, is not a diocesan priest at all, but a missionary priest of the Society of African Missions. And today, this is a trim little building, well-kept and well-used. It stands at the other end of Landseer Road from its Anglican counterpart All Hallows, and these two rather undistinguished little buildings are, I suppose, lavished with as much love by their parishioners as any of Suffolk's grander churches. St James has its own website. 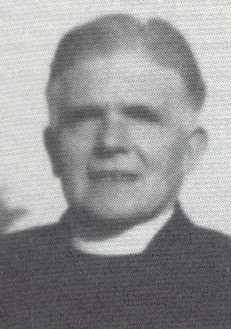 Photograph of Joseph Sweeney copyright of Diocese of East Anglia. 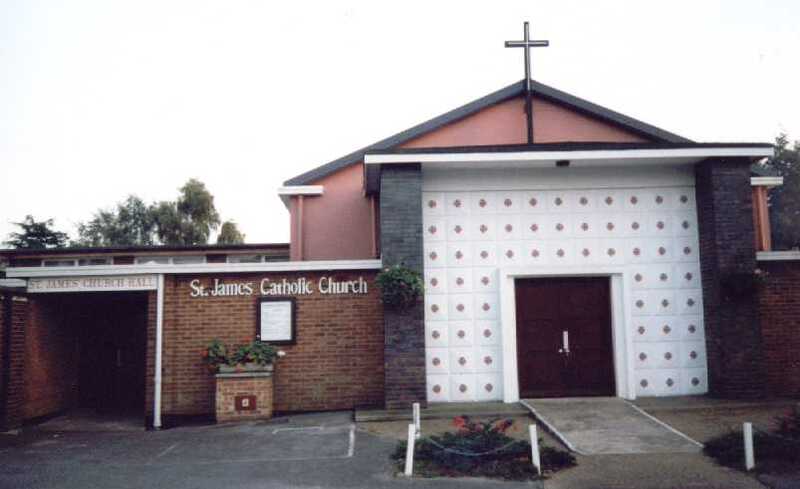 St James, Landseer Road, Ipswich, is usually kept locked, but the key is always available from the presbytery beside the church. The number 2 bus from central Ipswich stops outside.